Historical Marker Text: During construction of the St. George Temple, pres. 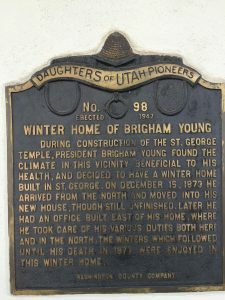 Brigham Young found the climate in this facility beneficial to his health, and decided to have a winter home built in St. George. On December 15, 1873 he arrived from the north and moved into his new house, though still unfinished. Later he had an office built east of his home where he took care of his various duties both here and in the north. The winters which followed until his death in 1877 were enjoyed in this winter home. 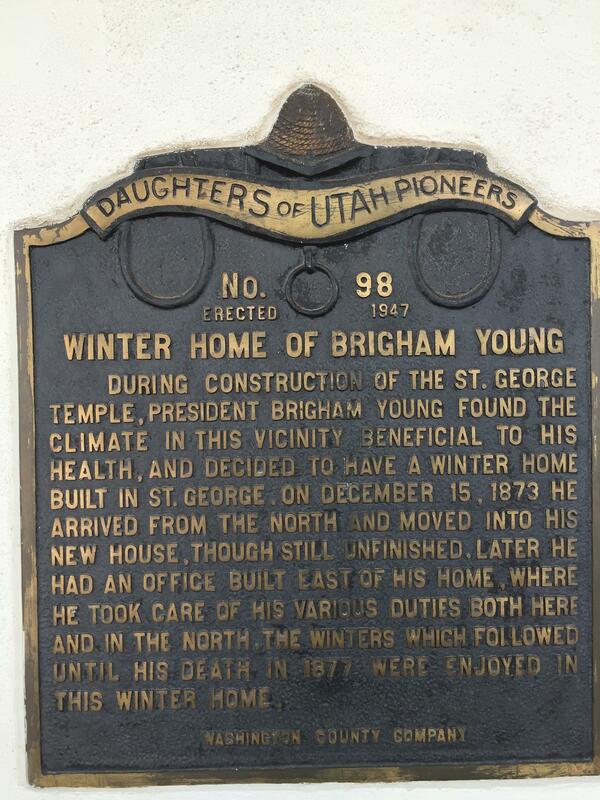 In March 1872 Brigham Young purchased the home that came to be known as the Brigham Young Winter Home. The back portion of the home was built by James Chesney in about 1866 and sold to Henry W. Lawrence in about 1868. 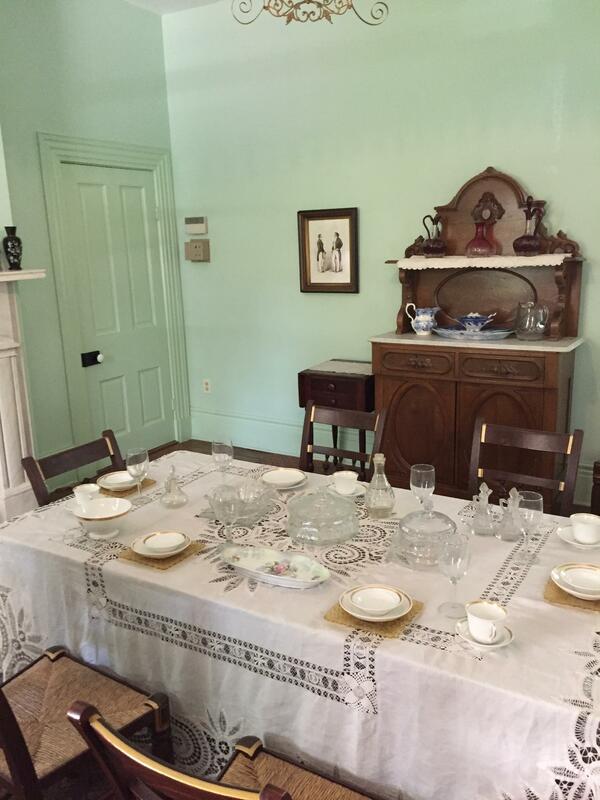 Lawrence sold the home to Brigham Young Jr. in 1871, and Brigham Jr. then sold it to his father. The home was remodeled, more than doubling it in size to better serve President Young’s needs. Joseph W. Young, nephew of Brigham Young, was the first building contractor on the remodel. He corresponded frequently with Brigham about progress on the house, as Brigham was in Salt Lake City during most of the remodeling project. 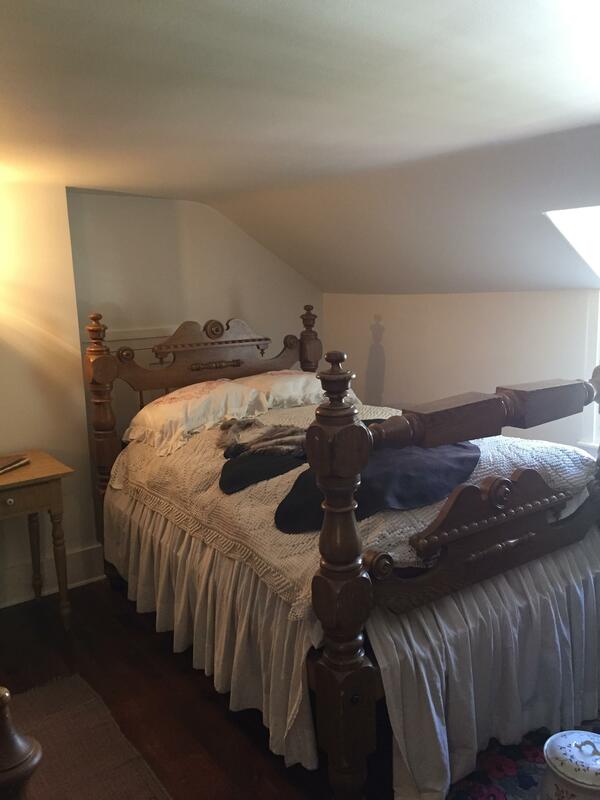 Unfortunately, Joseph died in June 1873 in the midst of the home remodel. After Brigham Young’s death, members of the Young family owned the Winter Home until 1892, when it was sold to Jedediah Morgan Gates. Gates was a dentist and operated a successful practice from the home for many years. The home underwent major renovation to accommodate Gates’ family and practice. In 1955, Gates’s daughters sold the home to the Brigham Young Memorial Association. The association hoped to restore the home but found it a larger task than they could handle. Subsequently, the family association sold it to the state of Utah in 1959. 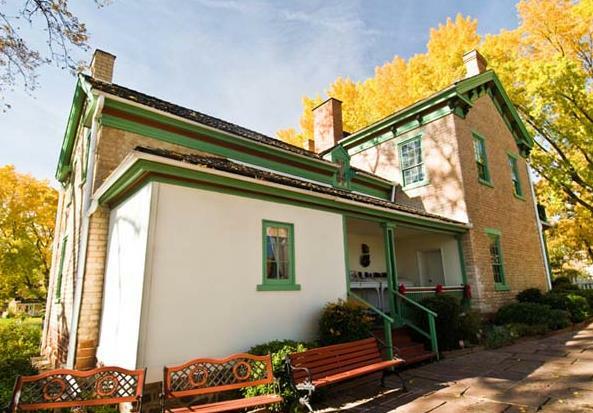 The state completed the first of several restoration projects and operated the home as a state historic site for a number of years. The structure at the back of the property, now used for storage and restrooms, was completed in 1971. In 1974, The Church of Jesus Christ of Latter-day Saints acquired the home for use as a Church historic site. The home was dedicated as a Church historic site May 29, 1976, by Elder L. Tom Perry. Since that time, the home has undergone additional restorations, including efforts to bring paint colors and furnishings from Brigham Young’s time into the home. Because he headed South and managed to avoid the cold of the North during the winter months, it could be said that Brigham Young was one of Utah’s first snowbirds. Some of this content comes from internal training materials produced by the Church History Department of The Church of Jesus Christ of Latter-day Saints. Brigham Young Winter Home and Jacob Hamblin Home: Dedicatory Services, Church History Library, The Church of Jesus Christ of Latter-day Saints, M255.88 C561b 1976. Spencer, Clarissa Young, with Mabel Harmer. Brigham Young at Home. Salt Lake City: Deseret Book, 1940. A delightful account of life in Brigham Young’s Salt Lake household as seen through the eyes of a daughter.